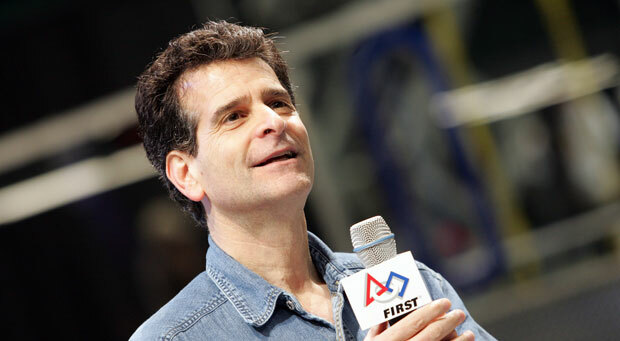 Dean Kamen is an American entrepreneur and inventor who is most famous for his inventions the ‘Segway PT’ and the ‘iBOT’. He has invented several other devices and tech gizmos that Kamen hopes will help revolutionize our lifestyles. Kamen was born on 5th April 1951 in Long Island, New York. He is the son of Jack Kamen who was the illustrator of Mad and Weird Science comics. He started playing with technical gadgets at a very young age. Kamen did not really excel in studies. By the time he reached his teens, Kamen was being paid for his ideas. Local bands and museums paid him build light and sound systems for them. Kamen also worked on the giant ball that is lowered in Times Square on New Year’s Eve every year. Even before his high school graduation his total annual earnings were $60,000, an amount that exceeded both his parents’ salaries. Kamen attended the Worcester Polytechnic Institute (WPI) in Massachusetts but the truth was that he was more interested in doing something practical than just sitting in classes. In his early years in the institute he invented one of his first innovations. His brother who was a doctor told him about the problem that patient who needed round the clock medicines and had to come to the hospital for just that. So he came up with a medical invention named ‘Auto Syringe’. It was a transportable device that could be worn by patients. It controlled the medicine dosage; because of this device patients felt very easy as they were not forced to come in the hospital every time. Kamen left WPI in 1976 before his graduation and established his own company ‘Auto Syringe’ where he could sell his medical invention. The medical community responded very well to this new invention and soon Kamen was a well-known name in the community. He sold his invention to the health care company, Baxter International making him a millionaire. His next endeavor was the formation of ‘For Inspiration and Recognition of Science and Technology’ (FIRST). By 2004, there were over 800 teams in the world competing for this robotic competition. Another venture by Dean Kamen was DEKA Research & Development which is a research facility where more than 200 engineers, machinists and researchers work on projects for other companies as well as Kamen. Kamen’s other inventions include the Human Transporter and the iBOT which caused a lot of hype. He has received several awards throughout his career for his innovations. Some of these include the Heinz Award for his ‘set of inventions that have advanced medical care worldwide’ in 1998, the National Medal of Technology in 2000 and an honorary degree of ‘Doctor of Science’ from Clarkson University and ‘Doctor of Engineering’ from Kettering University in 2001. He has received other honorary degrees as well. He also received the ‘Global Humanitarian Action Award’ from the United Nations in 2006. Time magazine named his ‘Project Slingshot which was the cheap and portable purification system as the ‘coolest invention of 2003’.